The Mancos formation, located in Colorado, New Mexico, and Utah, is a mixture of shale, siltstone, and interbedded clay. The Mancos is an unconventional formation with low porosity and permeability; however, natural fractures are present throughout. Historically, the Mancos was drilled vertically and completed with a single stage for fracture stimulation, resulting in marginally economic wells. More recently, the focus has shifted to development with horizontal wells using innovative completion technology to increase the success of the play. An operator planned to drill an exploratory well in a new area of the Mancos formation. Previous vertical wells were barely economical and the operator wanted to try something new. The operator decided to drill a horizontal well, which was a first for the company. The main focus was to test the production potential of the well in an economic way, as well as mitigate any possible failures. Before production testing could take place, the operator faced the challenge of effectively completing the well in the tight formation. An open hole, multi-stage system completion was selected for the exploratory well as it would allow the operator to exploit the natural fractures present in the Mancos. A standard Packers Plus StackFRAC® multi-stage open hole system is a combination of RockSEAL® packers and FracPORT™ sleeves. The system is isolated from the wellbore by dropping a ball that lands in a seat at the toe of the system. This allows internal pressure to be increased to hydraulically set the RockSEAL packers, segmenting the open hole into multiple zones. Pressure is further increased to open a Hydraulic FracPORT sleeve in the first stage of the system at the toe of the well. Once the stimulation of stage one is complete, a ball is pumped down onto the ball seat of the FracPORT sleeve in stage two. Pressure is increased until the FracPORT sleeve shifts open and the stimulation can continue. Dropping consecutively larger balls to open the remaining FracPORT sleeves is repeated until the entire lateral is stimulated. For this application, Drillable Closeable (DC) FracPORT sleeves were installed without ball seats for all stages. To manipulate the sleeves, a shifting tool was run on coiled tubing. The operator chose to do this because the sleeves were to be opened and closed several times, and it did not want any balls present in the system. The DC FracPORT sleeves can be opened and closed multiple times, allowing them to accommodate many different applications, such as water and gas shutoff. The operator designed the StackFRAC system to segment the 2,600 ft lateral into seven stages. The completion system was installed to a measured depth of 7,480 ft without issue. With the use of coiled tubing, all seven stages were opened and allowed to produce. The well was produced for 6 months to establish a baseline for unstimulated production potential. Following the 6-month production period, coiled tubing was used to close all but the first stage of the completion system. The operator stimulated this stage, ran into the hole with coiled tubing to close the DC FracPORT sleeve, pressure tested the system to ensure it was closed, and then opened the next sleeve to allow for stimulation. This process was repeated until all seven stages were stimulated. After stimulation, all seven stages were opened with a service rig for production. The well was then flowed back, producing 10 times more BOE than the previously completed vertical wells. Even with the coiled tubing operations, the total stimulation time was only 30 hours and was done on time and on budget. Since this was the operator’s first attempt at a horizontal well for the purpose of exploration, the decision to move forward in the Mancos was dependent upon the cost, time to complete, and production results of this well. 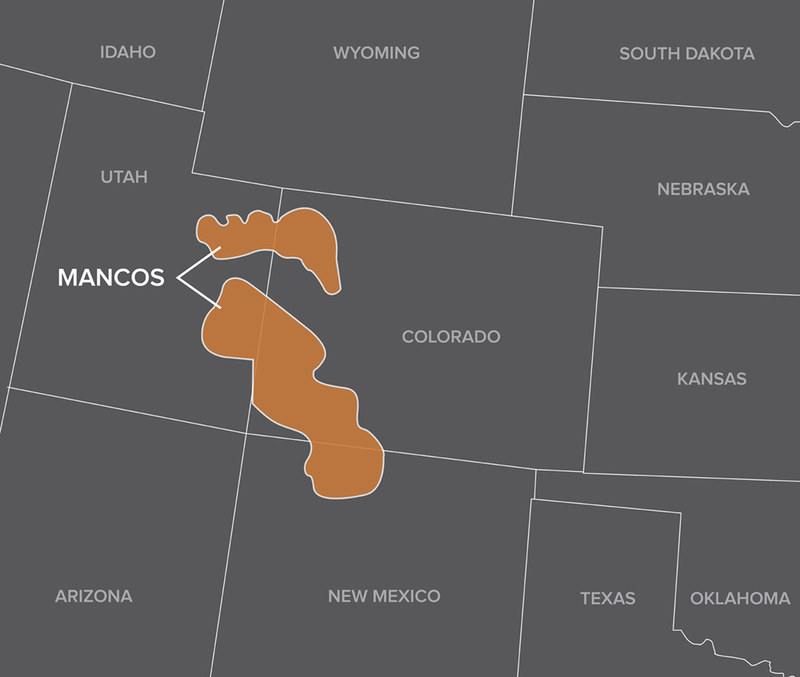 Because the operation and results were a success, the operator plans to develop its Mancos formation assets using the StackFRAC system.